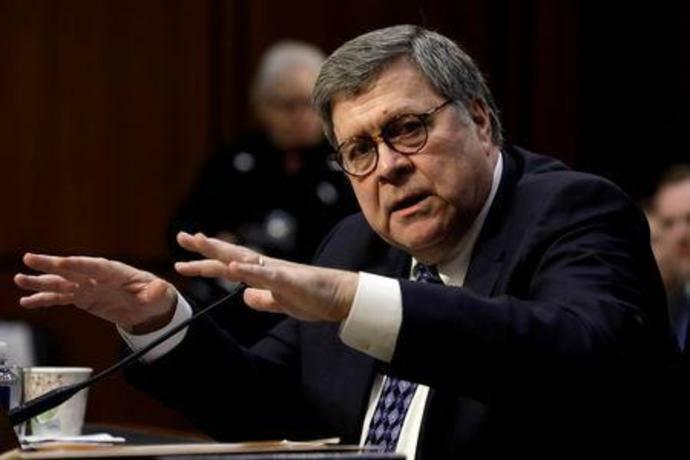 WASHINGTON (Reuters) - The U.S. Senate Judiciary Committee on Tuesday postponed a vote on President Donald Trump's attorney general nominee, William Barr, as Democrats expressed concern that he might not make public a final report on Special Counsel Robert Mueller's Russia investigation. The vote will now take place on Feb. 7, according to the committee. Barr, who served as attorney general under Republican President George H.W. Bush in the early 1990s, is expected to win confirmation in the Republican-controlled Senate. But he must first win approval from the Judiciary Committee. Delaying the committee's vote will give Democrats more time to question Barr about how he would handle Mueller's investigation into the Trump campaign's possible ties to Russia during the 2016 presidential election. Barr criticized the investigation last year in a memo to the Justice Department but he told the committee in testimony two weeks ago that he would protect the probe from political interference and would allow Mueller to conclude his work. Trump has repeatedly criticized the investigation as a "witch hunt" and denies any collusion with Moscow. Barr has said he might not share all of details of Mueller's inquiry with the public, citing Justice Department regulations that encourage prosecutors not to criticize people who they do not end up charging with criminal behavior. Senator Dianne Feinstein, the top Democrat on the committee, said she needed to know more about how Barr will handle the report. Republican Senator Lindsey Graham, the committee's chairman, said Barr's previous service as attorney general showed that he can be independent of the president. "I trust the guy to make good judgments," he said. The delayed vote almost certainly means that acting Attorney General Matt Whitaker will remain in charge of the department - and the Mueller investigation - for several more weeks. Whitaker, who was appointed by Trump in November, said on Monday that the investigation "is close to being completed." Whitaker is expected to face tough questioning when he appears before the House of Representatives Judiciary Committee on Feb. 8. He has refused to recuse himself from oversight of Mueller's investigation even though he criticized it before joining the department. Trump elevated Whitaker to the post after firing Jeff Sessions, who handed off oversight of the Mueller investigation to the department's No. 2 official after it emerged that he had not revealed the extent of his own contacts with Russia during the election.